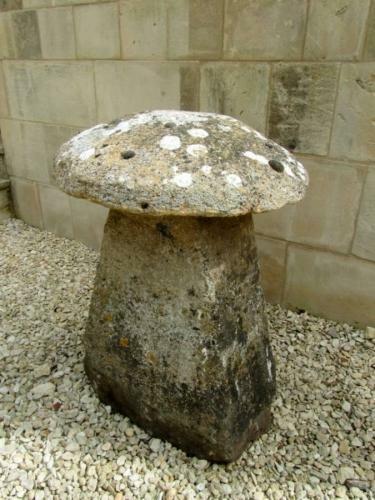 Staddle Stones were originally used as far back as the 16th century as supporting bases for granaries, hayricks and hame larders. The staddle stones lifted the granaries above the ground thereby protecting the stored grain from vermin and seepage. They are hand cut, well worn and weathered with a wonderful patina and make great decorative garden features.